Copolymer is a polymer of two or more different monomers. The synthetic rubber used to make tire treads and shoe soles, for example, is a copolymer made of the monomers butadiene and styrene. A polymer is a large molecule that is formed from the joining together of many repeating subunits called monomers. What makes copolymers distinct is that these repeating subunits are different from one another. Copolymer produces high molecular weight substances by chemical combination or the polymerization of monomers. It is different from homopolymer; homopolymer contains only one kind of monomer, whereas copolymer contains at least two kinds of monomers. Monomers typically have a double bond that undergoes a linking reaction with another monomer molecule to form a new single bond between monomers. Double bonds that participate in polymerization reactions include C=C double bonds, C=N double bonds, and C=O double bonds. 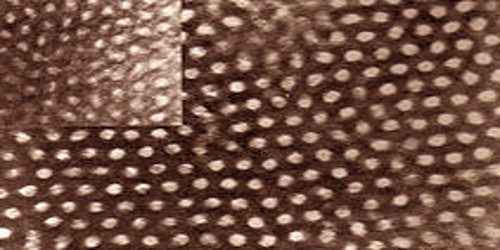 Copolymer can exist in three different types; it will categorize the structure of copolymers on the basis of block, random, and alternate. The structural units derived from the different monomers may be present in regular alternation or in random order, or strings of several units of one kind may alternate with strings of another. 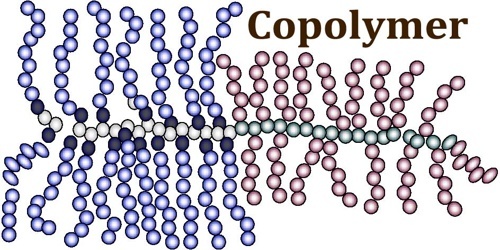 Copolymers may also be described in terms of the existence of or arrangement of branches in the polymer structure. 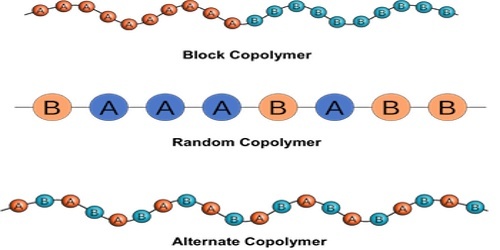 Linear copolymers consist of a single main chain whereas branched copolymers consist of a single main chain with one or more polymeric side chains. Other special types of branched copolymers include star copolymers, brush copolymers, and comb copolymers. In gradient copolymers the monomer composition changes gradually along the chain.